But nearly seven decades before “Remember Pearl Harbor” became a national rallying cry, the same waters were a battleground over Hawaiian sovereignty. In the 19th century, Hawaii was an independent nation — a constitutional monarchy modeled on Great Britain’s — as well as a reluctant bride in a contest among the era’s reigning and rising superpowers. In it, they saw the potential for a deep water port that would make Hawaii an ideal stopover for large ships traveling between North America and Asia. Native Hawaiians rightly feared that they would lose their nation if they ceded rights to the Pearl River area, which they called Pu‘uloa. They found an unlikely champion in a tall, blue-eyed American adventurer named Walter Murray Gibson. A Southerner with a murky past, he had arrived in the islands in 1861 as a Mormon missionary. With a genius for spotting opportunity, he took up the quixotic cause of saving the Pearl River basin. The basin had deep cultural resonance for Hawaiians, whose ancient ancestors believed that the shark goddess Ka‘ahupahau guarded the Pearl River’s treacherous entrance, a narrow channel through coral reefs where saltwater mingled with fresh. It was the wealth of oyster beds that gave the area its English name and native Hawaiians had long dived for these prizes in the harbor’s waters. But the Pearl River basin lured a succession of British and American naval officers carrying magnetic compasses and surveyor’s chains, and in 1873 a military commission under secret instructions from the US secretary of war William W. Belknap examined various ports in the Hawaiian Islands for possible defensive and commercial purposes. That same year, King William Lunalilo became the first Hawaiian monarch to give serious consideration to a proposal from the US offering the harbor in exchange for allowing Hawaiian sugar (which planters began cultivating in the 1870s) to enter the American market duty-free. Trade and defense were becoming inextricably bound, and in neither case were native Hawaiians reaping the potential benefits: The vast majority of the Hawaiian planters who stood to benefit from the agreement were, in fact, white foreigners. Gibson’s embalmed body returned to the islands covered with a Hawaiian flag. Once it arrived, streams of visitors came to view the body, including some of Gibson’s fiercest critics: Judge Sanford B. Dole, his brother George Dole, and Lorrin Thurston, who would later lead the overthrow of the Hawaiian Kingdom. The three men joined the crowd moving past his coffin. Thurston was shocked to see that the embalming fluid had turned Gibson’s skin very dark, eerily contrasting with his long white beard and silver locks. They left the reception room and stepped out onto the street. Today, Gibson is nearly forgotten. Pearl Harbor, as it exists today, was created following massive dredging of the basins coral reefs in the 20th century. The US naval base at Pearl Harbor is headquarters to the commander of the Pacific Fleet, the world’s largest, responsible for patrolling a hundred million square miles of ocean. Julia Flynn Siler is the author “Lost Kingdom: Hawai‘i’s Last Queen, the Sugar Kings, and America’s First Imperial Adventure,” published by Atlantic Monthly Press. 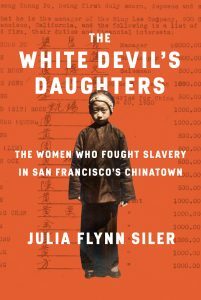 For more information, please visit www.juliaflynnsiler.com.